Westmorland Packaging is Cumbria's leading packaging wholesaler, providing a wide range of high quality packaging products and business essentials at value-for-money prices. Established in 1994, Westmorland Packaging is a family run business with a dedicated team who are highly knowledgeable and have over 65 years of experience in labels and labeling equipment and over 40 years experience in packaging related products. Situated in Kendal, the gateway to the Lake District, our sales representatives and delivery drivers cover the North of England and South of Scotland, whilst providing a 48 hour delivery service to the rest of the UK. We are proud to be the North West's official re-seller for Sato labeling products and members of the Cumbria Chamber of Commerce. Westmorland Packaging strives to offer the best suited packaging solutions for your business at competitive prices, with a friendly and personable service. 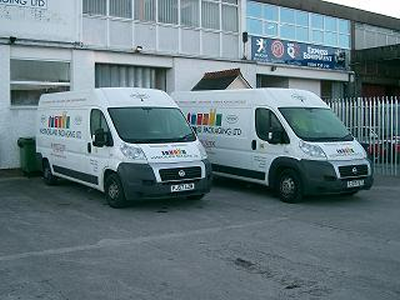 If you're looking for a reliable packaging distributor in the Lake District, you've come to the right place.